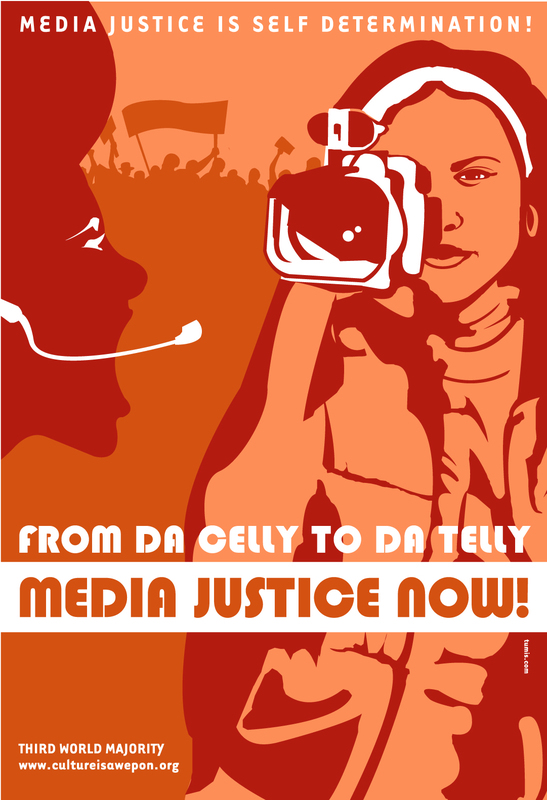 This Dialogue piece situates Third World Majority's (TWM) women of colour media justice practice as an alternative articulation of digital storytelling, and the digital storytelling movement of the 1990s and early 2000s. Third World Majority offered a potent alternative to the dominant practice, and discourse, of digital storytelling as a mode of personal narration. While digital storytelling is identified with the individual storyteller, community digital storytelling situates the storyteller as someone who speaks, and makes media, in community. In the place of digital storytelling’s dominant recipe for telling personal stories, Third World Marjoirty offered a collective, politicized vision of digital storytelling as a way of linking individual’s complex personhood to their location within struggles for justice. While Third World Majority utilized a collective organizational structure made up of diverse groups of young women of colour, this essay’s analysis substantially relies on co-founder Thenmozhi Soundarajan’s descriptions and recollections of their work. Soundarajan has written and spoken extensively about Third World Majority and was interviewed for this project. I am indebted to her and grateful for her willingness to share her knowledge about Third World Majority. To better understand Third World Majority’s vision of media justice, its links to community, and its collective structure, Lena Palacios and I conducted a Skype interview with Thenmozhi on February 18, 2015. I thank Ayesha Vemuri for her transcription of our interview. Drawing from our interview content and analysis of Third World Majority’s documentation, I explore the political and cultural imagination driving Third World Majority’s work, and their unique methodology for fomenting media justice. 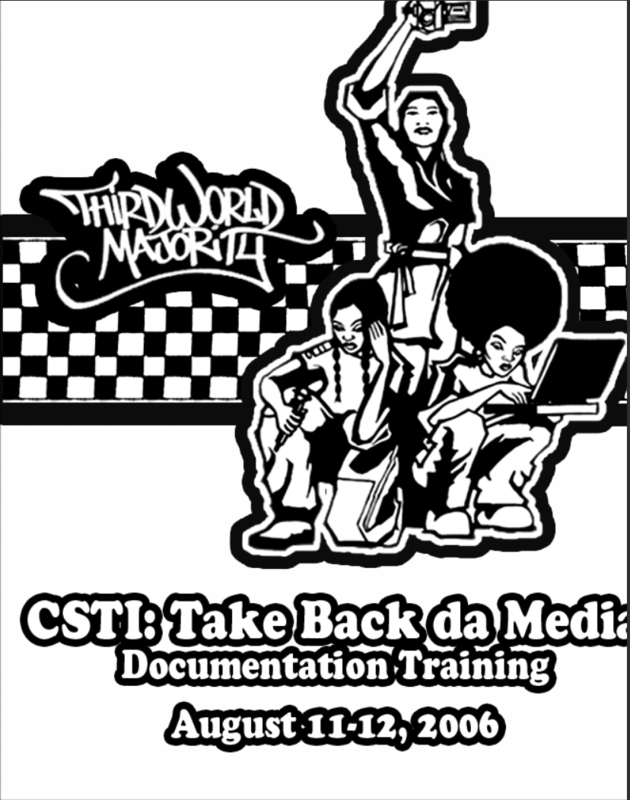 I analyze the ways Third World Majority transformed its vision of media justice for young people into training regimens and advice-based documentation for how to do social justice work with digital video technology. Their curriculum, now archived in Scalar, gathers this material into one place, illustrating the ways in which media justice archives are not simply records of past practice but also digital pedagogies for the present. Today, human rights watch groups like WITNESS laud the technical capacities of individuals armed with mobile recording technologies as digital witnesses to human rights abuse and activist struggle. 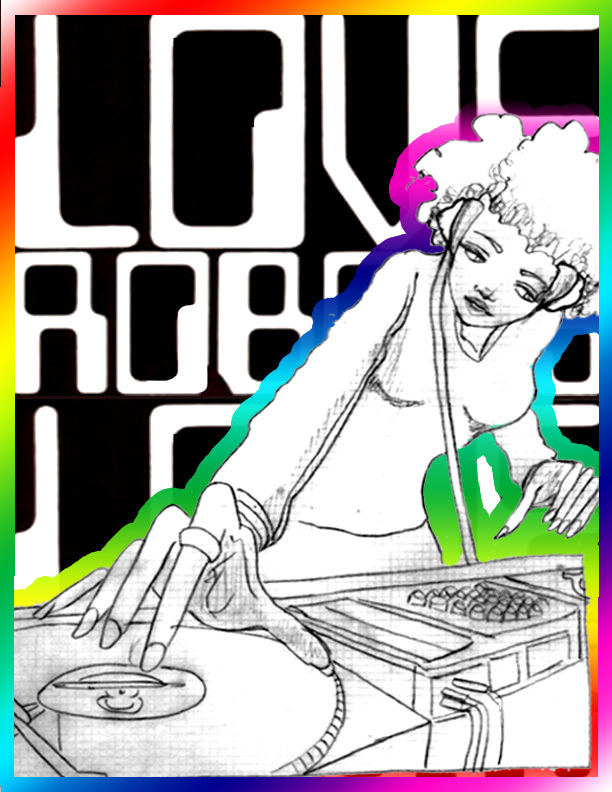 While they do not use the language of witness, Third World Majority’s anti-violence project aimed to use digital storytelling to change public discourse and advance radical community-based responses to interpersonal and state violence, responses based in radical women of colour frameworks of social justice and contemporary genres of media making around hip hop, women's street art, and revolutionary cinema. Their tag line, “Culture is a Weapon,” signaled a radical orientation to digital storytelling that mobilized storytelling using the tools of digital video recording and editing toward racial and gender justice. Third World Majority made teachable the digital story format within the lives and community activism of young women and men of colour. It developed a pedagogy of digital storytelling that enabled people to translate the collective political visions of community groups into models of media justice digital storytelling. The essay first examines how Third World Majority framed its media justice practice around young women’s critical race feminist media making practice. Its politics of representation were based in the needs, and capacities for response, to media and other violence against communities of colour. Third World Majority started in Oakland, CA not far from the Center for Digital Storytelling and Silence Speaks in Berkeley, CA, two other organizations that were defining and making teachable the digital story format in the context of storytelling for personal and social transformation. I locate Third World Majority’s practice as an alternative to digital storytelling’s dominant U.S. framework around the Center for Digital Storytelling in Berkeley, CA, with its training texts and workshop facilitation guides, to understand a key piece of the context in which Third World Majority’s practice developed, and meaningfully diverged, from the Center’s model. I then analyze the digital storytelling model Third World Majority produced, and the activist pedagogies they created in order to do the capacity building and media making work they supported. My analysis of digital storytelling’s development in the Bay Area draws on Elisabeth Springate’s Ph.D. research on digital storytelling, when she was a doctoral student at McGill University in Montreal and facilitated community-based digital storytelling workshops in Toronto for food justice and anti-violence organizations. The next page of this essay examines how Third World Majority's model of digital storytelling diverged from the practice developed by the Center for Digital Storytelling, through an analysis of both organizations' documentation on their practice. From Third Cinema to Media Justice: Third World Majority and the Promise of Third Cinema may become a book, but it will begin here as a digital edited collection of scholarship, reflections, and analysis about the archival material it makes available. Its target audience is scholars, students, media-makers, activists, and organizers interested in histories and theories of political media, contemporary deployments of new media in the service of on- going movements for social and economic justice, and critical theories of film and media. It will include an online archive of the documents, videos, and other media generated by Third World Majority. These will be the source material and focus of a variety of essays by scholars and activists. The archive will be foregrounded within a “reader”-driven organizational structure that allows readers or users to learn by exploring the archive and reading the collected essays, about the history and theory of Third Cinema (an influential, politicized, film movement that started in Latin America in the late 1960s); the relationship of Third World Majority to that history and theory; and, what an analysis of Third World Majority offers to existing scholarship and activism about the relationships between digital media production, people of color, and social movements.